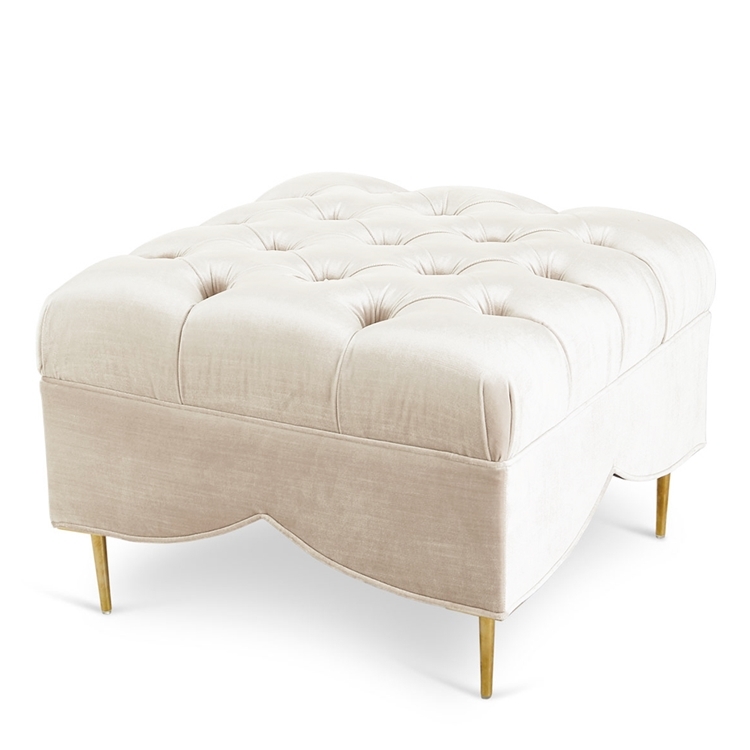 W 25.5" | D 25.5" | H 18"
SHIMMER "SNOW" WITH BRASS LEGS. Item sold as shown online and price doesn't include shipping. Boxed weight is approximately 40 lbs. Email info@hautehousehome.com or call 323.256.2800 for custom options and more information.